BODYTRAFFIC, a contemporary dance company based in Los Angeles, presents a four-piece night at Norman & Annette Rothstein Theatre. 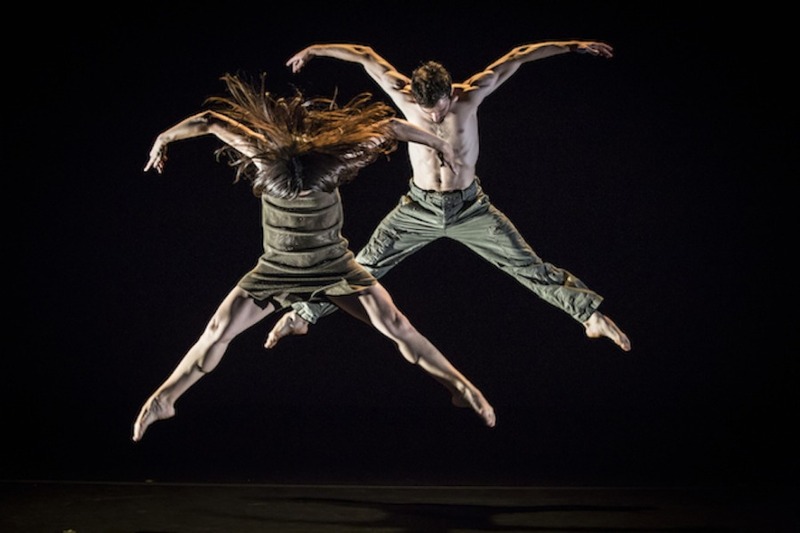 From jazzy dance piece to contaminations of hip-hop ideology, the program – part of Chutzpah! Festival 2015 – presents four pieces choreographed by Richard Siegal, Kyle Abraham, Joshua L. Peugh and Victor Quijada that prove the typical diversity of a metropolis, such as Los Angeles. The repertory of BODYTRAFFIC, founded in 2007 by Tina Finkelman Berkett – who danced in all the four pieces – and Lillian Rose Barbeito, reflects this wide range of styles, typical of big cities: innovative, young, alive, fast. Originally premiered in 2008, then propose again in 2015, The new 45 is a cheerfully trio for two men and a woman. Dancers matched the music with their movement, at times even too firmly; they moved with comical intentions bringing enthusiasm on stage. The tremendous precision, and strong technique, of dancers captured spectators, even when the choreography, by Richard Siegal, weakened. In Kyle Abraham’s Kollide (2013) the influence of hip-hop met the tradition of modern dance, for the first time during the show. When the curtain opened, two couples were already on stage; they started dancing in a hued environment of browns and pale pinks, with a Japanese-style projection – created by Dan Scully – in the background. The dance started slowly, almost as if it were a perfect correspondence with the pale tones of the ambience, with movement of shoulders and sinuous torso undulations. A trick of the light, a new work choreographed by Joshua L. Peugh, is a world premier that debuted in Vancouver. Once again, dancers transported their audience in a completely different journey. The entire company, composed of nine dancers, wore old-fashion costumes, designed by Leon Wiebers: full dress for women, colorful sweater and black trousers for men. This work was full of color, brightness and playfulness: a tribute to lights, with a light note of nostalgia. The night closed with Victor Quijada’s Once again, before you go, a piece that shows his background in the hip-hop cultures of Los Angeles. Five dancers, four men and Berkett, suspended time and space through their undulated moved. 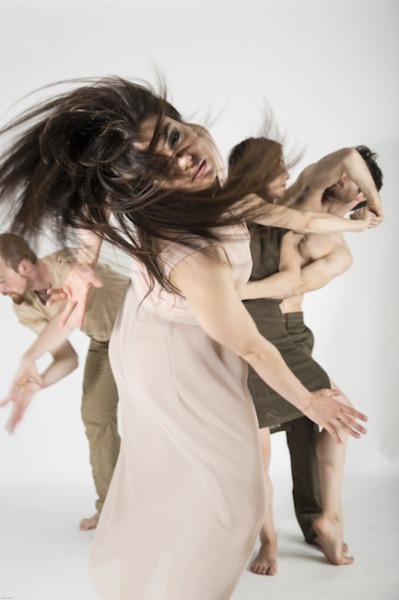 Those five bodies created an invisible, but perceptible, tension and connection between them, which became more and more visible during the crescendo of the piece. BODYTRAFFIC’s dancers performed those extremely different pieces with wonderful and clear precision that never bored spectators. They transported their audience in a flowing journey, travelling with different styles, music and tones. The show will be performed on Friday, 6 at 3 pm and on Saturday, 7 and Sunday, 8 at 8pm at Norman & Annette Rothstein Theatre, as part of Chutzpah! 2015.